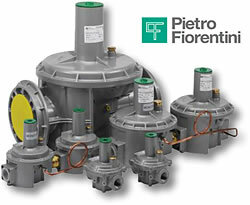 Pietro Fiorentini's Governor line of gas regulators are designed to comply with the latest CSA and international. 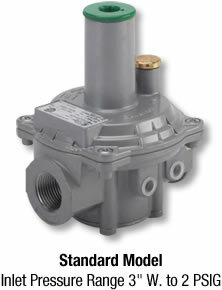 The Governor family of regulators are ideal for a wide range of residential through large industrial applications. The materials and soft parts used in the construction of the Governor regulators make them suitable for use with natural gas, LPG, Propane air and other non-corrosive gases. 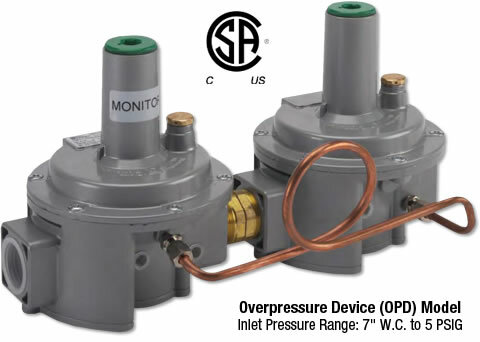 All Governor regulators are equipped with balanced valve design for improved high outlet pressure accuracy regardless of Inlet pressure variation. 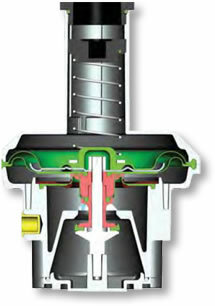 The double diaphragm with integral vent limiter provides added security. The external vent limiter reduces piping costs and the need for costly vent piping for indoor installations and complies with CSA guidelines. 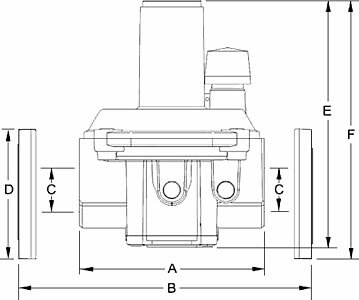 * The number of high capacities and regulator options sometimes eliminates the need for separate units and significantly reduces installation costs. 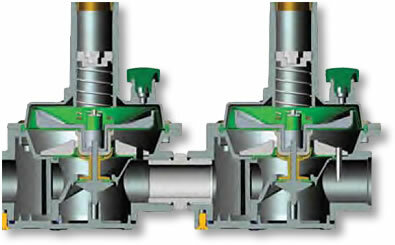 Balanced valve design gives you for increase capacity, high 500 to 1 turn-down and stable regulation from low to high flow. Minimum Δ P – 1" W.C.
Green 2" W.C. to 5.1" W.C.
Yellow 9.8" W.C. to 27.5" W.C. Recommended for no more than 80% slated capacity, for optimal performance.